We know that the earth is covered with snow before many years and that was called as the snow age. The scientists are trying to know the weather conditions at that time and how the changes had taken place until now. They are going to estimate the weather changes in the future from the research and they are doing this with the help of a tree trunk. The British scientists had found a tree trunk in the earth and they brought it to Britain and started doing experiments on it. The tree was before 30,000 years one and we can know many facts using the trees. The trees live for years and they form a structure in a trunk every year. These layers are formed in different ways in different weather conditions like hot weather, cold weather etc. The scientists can know the weather conditions at that time by viewing this layers. By decoding the layers we can know the situations faced by the trees in that age. We can know the age of the trees from the nature also. 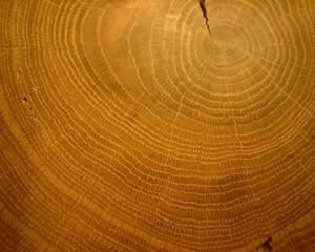 Dendrochronology is the subject which tells the weather conditions based on the tree structures. Dendroclimatology is the subject which tells about the climatic conditions. We can know the climatic conditions of the earth before 9000 years from the tree layers. « How will people float on dead sea? | What is the reason behind lack of life in Dead Sea? » How are deserts formed? | What are the changes occurred during the formation of deserts?